Jacques Attali was born on the 1st of November 1943. Graduate from the Ecole Polytechnique and the Ecole Nationale d’Administration, he was the Special Adviser to French President François Mitterrand during 10 years. He founded 4 International Institutions : Action contre la faim, Eureka, EBDR and Positive Planet. Positive Planet is the most important worldwide Institution of support to microfinance. Positive Planet has supported more than 10 million micro-entrepreneurs. 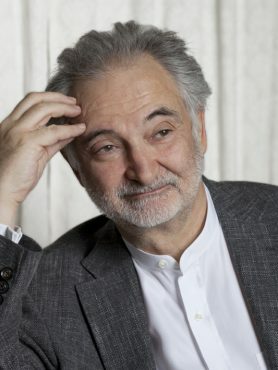 Jacques Attali has written more than 1000 op-eds in the french magazine l’Express as well as 67 books sold in 7 million copies and translated in to 22 languages. He has conducted several orchestras over the world (Paris, Grenoble, London, Jerusalem, Shanghai, Astana).